Supports the body physiological functions of the respiratory tract and promotes the immune defense in a natural way. Bronchosan is a very powerful product designed for horses with mucus in the lungs and loss of condition. 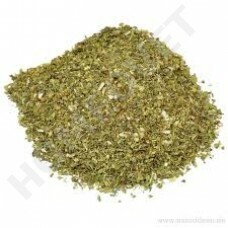 The herbs used are packaged from certified organic cultivation and GMP. Licorice: Has anti-inflammatory and antioxydative effect. This product has been successfully tested on the HomeoVet test center. Horse 5-6 scoops, administered daily in the diet. Various herbs, fenugreek, Yssop, coltsfoot, licorice, garlic, Atlhea, echinacea, sage. BronchoSan was developed by Veterinair Homöopathg woman KM Schoon.